﻿ Best Price on Bay Gardens Beach Resort in Rodney Bay + Reviews! Featuring a prime location in Rodney Bay, this resort has colonial style architecture and direct access to scenic Reduit Beach. It features rooms with balconies overlooking the landscaped pool garden. Bay Gardens Beach Resort has a petal-shaped, lagoon-style pool featuring a whirlpool island. You can also book a massage on the seafront at the La Mer Spa. 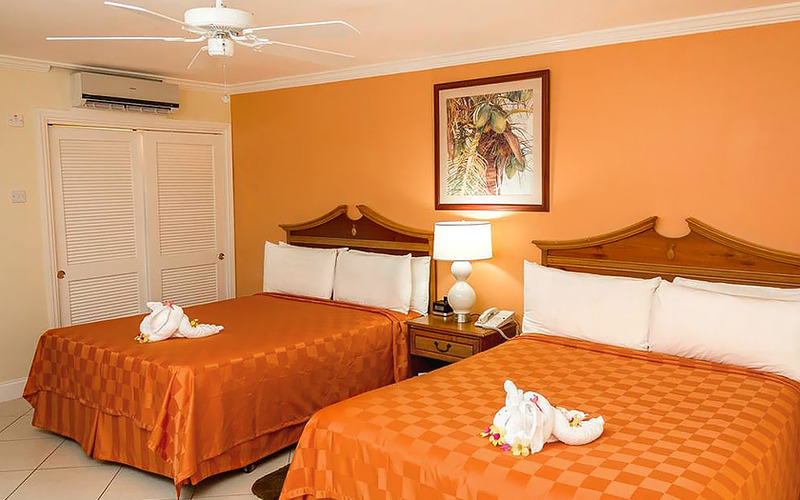 The air-conditioned rooms at this luxury resort incorporate traditional Caribbean elements such as ceiling fans and timbered porches. Each comes equipped with cable TV and a DVD player. Free Wi-Fi is provided in rooms and public areas. Dining options include the Trios Caribbean Fusion Restaurant and the Hi Tide Beachside Restaurant, which serves an all-day menu. Drinks are available from 3 different bars. Bay Gardens Beach Resort has a tour desk, and on-site activities include a fully equipped gym and various water sports on the beach. There is a playground and game room for children, and babysitting services can be arranged upon request. The Bay Gardens is just 5 miles from George FL Charles Airport and has free parking. It is adjacent to a number of restaurants and is a short walk from Treasure Bay Casino, the only casino on the island. Please note that reservations made for 3 nights or less must be paid in full upon the moment of booking. Upon check-in, photo identification and credit card are required. All special requests are subject to availability. Special requests cannot be guaranteed and may incur additional charges. Room service is available daily from 7 am-10 pm. I stayed there one week. The hotel and room was clean. Wifi in room did not work for the first 2 days, then later was fixed and did work. Pool was rather shallow and small. Hotel was nicely located next to the shopping mall, bars and restaurants. Staff very nice and helpful.